Air France has suspended flights to Bamako, the capital of Mali, after gunmen overran a large Radisson Blu hotel in the city and took dozens of hostages. The French carrier said 12 staff -- including two pilots -- who were staying at the hotel at the time of the attack were removed from the hotel and "taken to safety." Turkish Airlines said at least seven of its employees were staying at the hotel Friday. All seven were freed by Friday afternoon, the airline said. 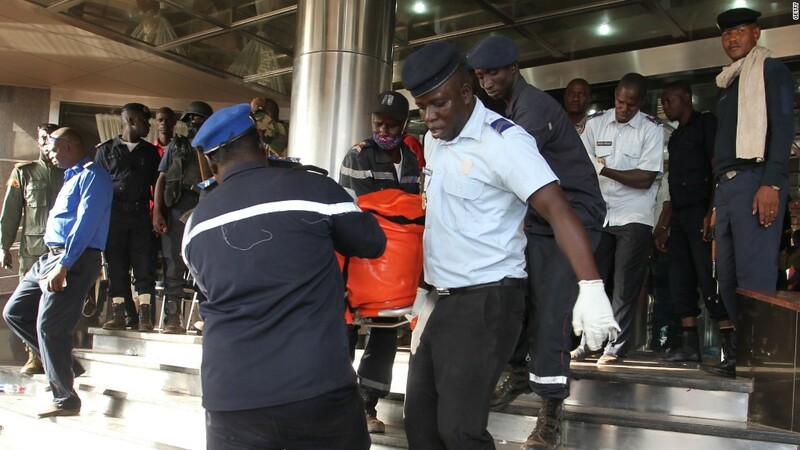 At least three people died in the attack in the former French colony in west Africa. Dozens of other people reportedly escaped. Security forces launched a counter-assault on the hotel. Air France (AFLYY) generally runs two flights per day between Paris and Bamako. Mali has a population of roughly 15 million. The country gained independence in 1960, but maintains close ties to France. Friday's hotel siege comes just a week after terrorists attacked targets in Paris, killing 130 people and wounding many more. France said Friday it was sending an elite paramilitary group to Mali to support the authorities. In 2013, France used military force in Mali to repel armed Islamists who were advancing on the middle of the country from a stronghold in the north. Mali is a land-locked country roughly twice the size of Texas. It is among the poorest nations in the world. --CNN's Pierre Meilhan contributed to this report.